People around the globe spend billions of dollars for countless beautifying products every year. The media is full of new commercial advertisements each day promoting costly beauty products containing parabens, sulfates, dyes, preservatives, fragrances, stabilizers etc. which are easily absorbed in your pores and make their way into the bloodstream. These chemical-laden ingredients do more harm than good in the long run by creating numerous health complications. The packaging of a costly beauty product claims to offer particular active ingredients like the diamond, gold, natural oils, dry fruits etc. Yet, in reality, it might only contain a single drop of it. India is known for its natural beauty secrets that have proved their usefulness over the ages and are still booming. All they do is give you more than what you want, faster than you would have ever expected with no side effects and false promises. Centuries ago, people relied on nature and natural ingredients to beautify themselves. In India, during the ancient times, women used colour to decorate themselves, but such ingredients were also linked to their medicinal usage. For example, henna has its basis in Ayurvedic healing, where henna was applied as a cooling paste, to bring down fevers, or cure heat rashes. Gradually, henna was used to colour the hair and paint intricate patterns on the hands and feet, a tradition that exists till today. Henna is so much in use today and has its basis in the ancient dyeing method when chemical dyes were unknown. 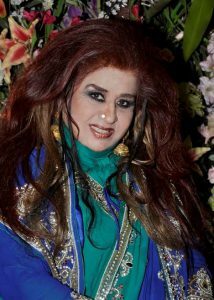 Apart from imparting colour, henna also is an effective natural hair conditioner. Similarly, ingredients for lip colour were those that cured stomach ailments. The bark of the missee tree yielded a red colour, which was used for the lips, or as rouge on the cheeks. The Mughal queens were known to use the powder of emerald, turquoise, and pearls as make-up for the eyes, the way we use eye-shadow. Of course, such trends do not exist now, but, we still make “kajal” and “Surma” the way it was done during the ancient times. 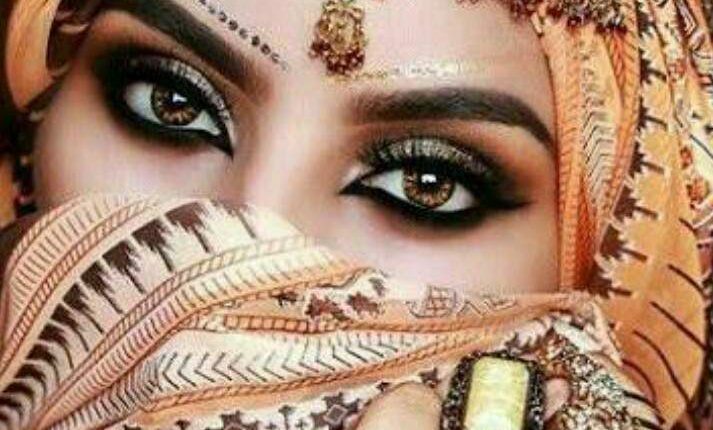 In India, “kajal” and “Surma” was used, while the ancient Egyptians, both men, and women, had their eyes heavily lined with kohl. Today, with the “back to nature” trend sweeping the world, we have gone back to the ancient times, when plant extracts were used for skin and hair care. Actually, plant and herbal extracts have shown a lack of harmful after-effects. In fact, many herbs help to soothe the skin and cure skin irritation. The use of plant ingredients is, therefore, a way of ensuring safety from harmful effects. Indeed, during ancient times man depended upon nature for all his needs – food, medicines and yes, beauty aids too. In some civilizations like India, herbal medicines flourished and became a part of our heritage. Systems like Ayurveda are basically founded on the discoveries and the practical usage of the healing and beneficial properties of plant life. Natural substances like metals, minerals, shells, precious and semi-precious stones, honey, yogurt and so on are still used in the Ayurvedic healing system. One of the most popular trees in India is Neem. It has a history which goes back to thousands of years. Over the centuries Neem has been highly valued in India for its healing and purifying properties and it is probably the most widely used among plant products. Like ancient times, we still use every part of the neem tree for healing purposes. One of the most common uses of Neem in India is for cleaning and brushing the teeth, for which the tender twigs are used. Ancient Ayurvedic prescriptions record that Neem is ideal for preserving and protecting the teeth and the gums from disease and decay. Pastes, infusions, and decoctions are made from the leaves for local applications on the skin and scalp. The oil obtained from the seeds has been applied as a dressing in chronic skin and scalp problems. Today, it is used in several products, like hair oils, shampoos, rinses, conditioners, toners, creams, and ointments. Sandalwood is also one of the most popular cosmetic ingredients used in India. It has been mentioned in ancient Indian texts as far back as the 5th century BC. It has powerful germicidal and antiseptic properties. It soothes the skin and heals inflammatory conditions. Sandalwood paste has been used since the ancient times for beauty care and for its fragrance. Today, its oil and extracts are used in many cosmetic preparations. Exfoliating with pure Sea salt has been used for beautifying centuries ago. It cleans dead skin cells and also treats acne, pimples effectively. Applying Beer on hair and exposing suds-drenched locks in direct sunlight for an hour or two give shinning long lustrous hair and it has been practiced by high rich class women centuries ago. Indeed, the natural beauty aids of the ancient times have been tested by the most exacting test of all……they have been tested by time.